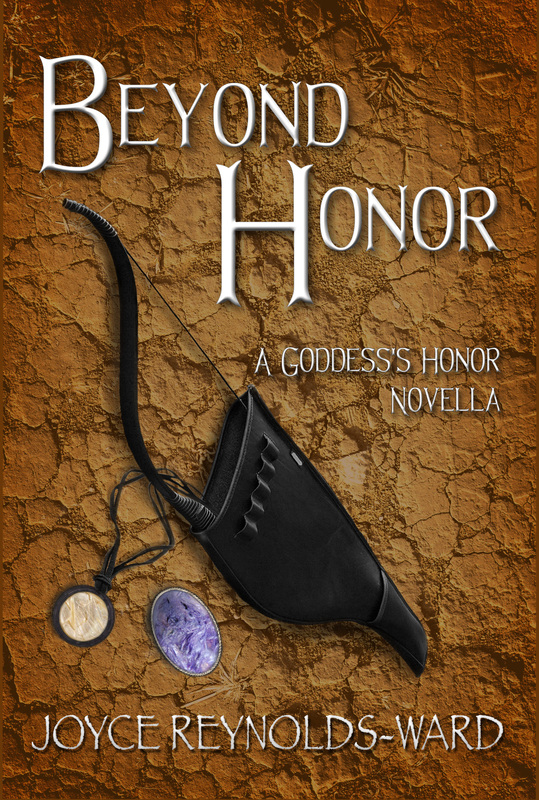 Beyond Honor now ready for pre-order! It is live on CreateSpace as well, and I have hard copies in my hands. It’s a gorgeous book (shout out to Roslyn McFarland for a lovely design). Comments Off on Beyond Honor now ready for pre-order! So the release date for Beyond Honor is going to be July 1, perhaps sooner but that’s going to be the official date that it will be available on Amazon, Nook, Kobo, Apple iBooks, and etc. I have a lovely cover designed by Roslyn McFarland, and as of yesterday I put down the first 1000 words of the short story that is going to be featured in the Coming Soon pages at the end of Beyond Honor–“Birth of Sorrows,” a short story about the birth of Alicira’s daughter Rekaré, which follows about six months after the events of Beyond Honor. Isn’t it a lovely little thing? It could be forgivable to assume that the shimmering of the air over the high mountain ridge’s grassland was nothing more than early summer’s heat. But edgy silence accompanied the flickering air as the midafternoon sun beat down on the broad, flat expanse. No crickets chirped, no hawks screamed. Even the camp of Keldaran and Clendan kinfolk summering on the high ridge lay mute; no children running, the camp herds clustered together, adults doing only what was urgent. Otherwise, they, too, watched as magic spread out from the large mat lodge belonging to their leaders, Heinmyets of Keldara, Inharise of Clenda, and Alicira the Outcast. A long shriek echoed through the camp. The air on the open flat quavered stronger than ever and the strong, thrumming vibration that announced a God’s impending arrival even to the uninitiated and magicless rolled over the ridge in response to the cry. Another scream burst from the lodge, followed by sobbing gasps for air. Magic thickened around the camp, its heavy hand spreading fear even among the adults so that they signed protections for themselves and their children. Orlanden en Selail’s fingers itched to pull his bow out of its case as he stood head of the guard around the Leaders’ lodge. He was no stranger to powerful magic, but this high sorcery of the Seven Crowned Gods made his skin prickle as if venomous centipedes were crawling all over him. His normal response to this sensation would be to prepare for a battle. But not this time. Not when a sorceress of the Miteal gave birth to another sorceress of equal or greater potential power. Alicira the Outcast, exiled though she might be, still carried significant magical power that she had needed to put away during the last part of her pregnancy. Now, with the impending birth of this child, Alicira’s magic rebounded with renewed strength to protect her against the uncontrolled fledging power her daughter would wield in her first breaths. What was the old saying? When sorceress gives birth to sorceress, the Gods themselves may tremble. Given that the sire of this girl was none other than Zauril the Usurper, a strong and powerful magician with aspirations to join the Seven’s pantheon by overthrowing one of them, there was no doubt in Orlanden’s mind that the Gods were trembling. No doubt that at least one of the Gods, if not all of them, would come to witness her birth. I’m thinking that I may read from this at MisCon, possibly also a snippet from Beyond Honor. Sound intriguing? Just typed THE END on the first draft of Beyond Honor today. It comes in at about 44,000 words, and didn’t quite end where I anticipated it. I suspect rewrites may blow it up to about 50k, but we shall see how that goes. The last segment was a lot longer than I expected, with Alicira and the god Staul throwing chips to determine what would happen with her, her child, and her magic. That ended up being one heck of a talky session, but there were some mouthy characters who needed to say their piece. I already know I have continuity things to fix. However I pretty much know what they are, especially if I work backward from the end to lay the breadcrumbs for the finish. Whew. As I said before, this was a story that was over forty years in the making. I first thought of the Goddess’s Honor world when I was fourteen, and had started wrestling with this aspect of the story in a writers group twenty-five years ago. Back then it wouldn’t have worked as conceived, but without that foundation I don’t think I could have taken the framework in hand and shaped it into the story I finished today. Now to do other stuff, and tomorrow I start doing something about the short story inventory, which is pathetic, sad, and in need of growth. Comments Off on And…Beyond Honor is done! I’m closing in on the finish of Beyond Honor. Gods, this has been a difficult novella to write. Geez, how many years have I been struggling to write this portion of the whole Goddess’s Honor mythos? Thirty, maybe? For whatever reason, each time I’ve started to write about how Alicira comes to Keldara has been a struggle. It was actually easier to write Pledges of Honor as an indirect approach to the whole mythos through an apparently unrelated character…except then it turns out that Katerin is related. Some of this is due to a bit of stereotypic conflict building. Alicira was abused by the usurper Zauril, with the explicit intention on his part of using her magic to advance his own power to elevate himself to godhood. She escapes, but she’s pregnant with his child. Trying to write her as a powerful character with agency even when all her options are narrowing and she has little choice has been the struggle. And then there’s the magic. BIG SIGH. One effect of the growth of gaming these days, especially for a non-gaming writer like me, is trying to figure out a magical system that holds together and makes sense. I don’t think you can easily do a handwavium magic system any more, just because there are so many readers out there who build systems as part of their gaming. That’s a good thing, really, but it requires more work on the worldbuilding. So that means figuring out the rules of the sort of magic that’s going on…which is part of the ongoing struggle with this story. Following that is the meshing of Alicira, Heinmyets, and Inharise as a family triad who shares leadership and magic. All of this is to say that this book is going to need some massive rewrite, I suspect. But at least I’ve laid down the bones. Much as I’d like to get it out by May, I don’t know that I can do it. On the other hand, as I work through the elements in this book, it will make working on the next book simpler. 10 pm. 34 degrees. Slightly tipsy from celebrating the completion of a graduate-level class I needed to take to renew my teaching license. Knocked off a reading unit and a test, two journal reviews and a reflection essay today, Test scores are in the 90s so I’ve aced this one, given that the complementary review of my first essay and journal review was–complementary. The original plan for today was to go riding with the barn owner, but things came up, so I decided to finish this class off and get it out of my way. Short-term teaching and testing gig ahead as well as working on Beyond Honor, all derailed by last week’s bug. Now I can face the writing with a clear conscience as my brain returns from whatever the heck it was that hit me. The class is all done now, and it’s a good transition back to braining for writing. Damn, don’t know why I ever dreamed of getting a doctorate. I can play this game well enough but–no, I’d much rather write fiction. As part of the celebration I went out on the front porch to admire the moonglow on the Wallowas. While the forecast says partially cloudy, there’s not much cloud cover over the moon and the light is almost bright as day. A faint wisp of cloud hangs midslope below Ruby Peak, and I see other clouds hovering behind the peaks, but right now they’re not obscuring my view of those glorious, glorious mountains. Down by Prairie Creek, the great horned owls are hooting. The barn owls over at the bed and breakfast’s barn break in occasionally, punctuated by brief coyote calls to the north of town. The bright neon blue and magenta of some kid’s hoverboard lights up First South Street while he talks to some other kid in a lifted diesel pickup. Then they both head their separate ways, the diesel chugging by my house before looping down and onto the highway. I hear it head up toward Joseph, loudest noise around. But it fades, and once again I hear the measured hoo-HOO-hoo of the horned owls on the creek. They’re more consistent than the screeeck of the barn owls. A mallard duck sounds off somewhere along the creek. Then I hear a brief honking as something disturbs one of the Canada goose flocks, also north of town. Maybe Mister Coyote is finding an evening goose snack? Quiet again. I huge myself while I sit on my stepstool, listening and looking into the night as the hoo-HOO-hoo sounds, regular as clockwork. For years the only way I could have this experience was to go camping. Now I just have to step out on my front porch. Were all the sacrifices and hard work to get here worth it? So it looks like Beyond Honor will need to be pushed back to March before it comes out. This is really a good thing/bad thing issue. I was tired out after the week of Day Jobbe work, and that led to me developing a bug which slowed me down as it came on during Radcon. I really didn’t think I was sick until I was back home on Sunday, and even then I wondered if it wasn’t just allergies. Well, the next few days kinda told the story. I was flat on my back with a nasty chest/sinus cold but it’s fading. However, today I was still brain-fried and not able to get work done. I suspect the bug came from exposure to kids because I’ve not been sick for two years, and then bam! First exposure in a week of working in school settings, and it nails me. Not surprising, and I’m really glad I got the flu shot last fall as a result, because I think things could have been much worse. This also means that I’ve fallen behind in my online coursework, which needs to be done so I can renew my license, so…not a lot of action happening very quickly on writing as a result, especially since I need to do my final tax work for the tax preparer (AKA, dear hubby). A second short-term gig MAY be happening. If it does happen, that doubles the income from the first gig. Good news and this may allow me to finance covers and some other necessary self-promotion things. We shall see. Meanwhile, being sick in the Enterprise house has its benefits. For one, for the first time in years I have a bedroom window that I can look out of. I retreated to the bed, opened the curtains, and watched the sky when I wasn’t reading or napping. It’s not the greatest view in the world, but given the choice between a mountain view in the living room and a mountain view in the bedroom? I’ll take the living room view any day. Watching the clouds also helped me gain a perspective on the cloud movement locally, which is something I’m still figuring out. Meanwhile, Radcon was much fun and I came back with good ideas for short stories. I’m still tossing novel thoughts around, especially given what has happened given the difference in sales between Netwalk’s Children and Pledges of Honor. Pledges seems to have a consistent amount of sales while poor Children isn’t doing much. Now Frog Jones did give me a good keyword for the Netwalk Sequence–cyberpunk regency–so we’ll see how that works. Children also just plain needs a new cover. I plan to do something about it but it’s not a major priority at the moment. But three days of being knocked off my feet sick plus a fourth of wandering around recovering doesn’t help anything. I have a lot of stuff to catch up on, plus…the horse needs work. Seriously. Mocha is going through the winter with flying colors. She is fat–healthy fat, not obese. No ribs visible, even after a ride with the hair slicked down. She looks good. She only gets minimal grain when she’s caught up and ridden, and she’s very energetic. Today, I rode her back and forth along one side of the 40 acre pasture (roughly square) at a long trot for 3 1/2 lengths, in a wet, soggy pasture with no snow. She snuck a few strides of canter here and there into the trot, and was very eager to go. She is a relaxed and happy horse–but wants to run. I need to get my act together and haul her to an indoor so we can do some canter work once a week, because she’s mentally ready for it and she wants to go. Plus I am not entirely certain she is 100% sound. When I stretch her right foreleg, I hear snaps, crackles, and pops. She goes well enough on an uneven footing, but if I asked for more? I don’t know. At the least, she’s trail sound if not show sound. Mentally, she’s much happier than she’s been for several years. A winter spent doing mostly walk work in snow has given her a good foundation. She’s even more sure-footed than she was before, after a winter spent at pasture in snow. I watched her lope across the field to rejoin her best friend and she’d probably be fine loping under saddle in the pasture, but I’m not thoroughly confident about it yet. So…onward. We’ll see how things shake out. So. I can haz part-time Day Jobbe. I got a call from the former employer because they got (temporarily) overloaded with kids who needed special ed testing. As it turned out, their timing fit my timing, so for the next 2-3 months I’ll be doing some work for them as a substitute for about a week or so each month. It’s nice getting back into harness, at least for a limited taste of it, but damn. Either I’m really rusty or else the stuff does take longer to do. It also leaves me mentally tired at the end of the day, so the writing has chugged to a slower pace. I don’t think this is reflective of how things will be in the future, though. I’m already contemplating strategies so I should be able to keep writing while working. As a result of figuring out the processes now, though, the writing of Beyond Honor has slowed down. On the other hand, this is a good thing. I’m having to think very hard about how I bring Inharise, Heinmyets, and Alicira together. Right now I’m thinking it is Inharise who takes the lead, and so I’m considering how she manifests her magic. I’m happy with how it twisted and turned up to the point where I left off due to work sucking up my brain, though, so that is good. I’ve also been thinking about the last Netwalk Sequence book, Netwalking Space. I suspect I’m going to be using flashbacks to Sarah’s secret and how it ties into the shadows at the heart of the Gizmo. To some degree, too, I think I’m getting a better grasp of the reasoning and the thought patterns of the Freedom Army, thanks to all the sovereign citizen information coming out in the wake of Malheur. That’s the mentality I want for the Army, and some of Sarah’s past history. But I’m postulating that the Army somehow made common cause with the Gizmo, and bringing out that history will also open up some of Sarah’s past ties, as well as the nature of the Gizmo. So one of the threads will be What does the Gizmo really want? Why is it here? Another element is going to be Melanie faltering and Bess picking up the pieces. Even ten years after Marty’s death, Melanie’s still reacting to it. The nature of his death gnaws at her on the tenth anniversary and she still questions why. Bess is forging her own way, but what she wants is not what Melanie wants. And wherever Bess goes, Alex goes. He’s an enigma in his own right…son of Melanie’s first lover, grandson of Sarah’s long-term lover, lost to the Freedom Army at an early age. What pieces of Sarah’s history intersect and shape the role that he plays in the events of Netwalking Space, and how does he overcome his own shadowed history? How much of what he deals with affects his brother Don? And what would the Army do to get Alex and Don back in their fold? How do these revelations impact Bess’s cousins Rick and Chris? What role do they play in the unfolding events, and what does the Gizmo want from them? To what degree do the bonds built through involvement in a creche cohort hold them together, even though Rick and Chris’s connections are shallower than the others due to not becoming part of it until their teen years? So yeah. Things are ticking. I also need to knock off some new short stories on spec as well as possible anthologies. I think that might take a priority after I wrap up Beyond Honor, then go on to Netwalking Space and then Challenges to Honor. Busy times, busy times. There’s also some other stuff in the fire right now that I can’t talk about yet, not until things get further along. And now I’d better get to it. This morning I hope to have the boys busy and out of my face as I write. She didn’t know what woke her first, an overwhelming sense of wrongness from Narasin or Heinmyets’s yell. Alicira rolled, fumbling for bow and arrows and sword, heart pounding. “Stop.” Inharise seized her wrists. “Can’t you feel it? The Shadowwalkers are coming!” she screamed back, Heinmyets’s bellows amplifying Narasin’s danger. Danger. Danger. Danger almost drove her to try to break through Inharise’s restraint. But there was something else, a sense of waters flowing around Alicira as she met the other woman’s eyes. 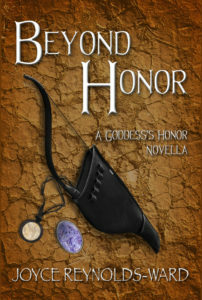 I’m publishing sections of Beyond Honor over at Kindle’s Write On boards. It’s not betaed or edited yet so you get to see what my rough draft processes look like, warts and all. I don’t even have chapter divisions done yet so this is REALLY rough stuff.